A series of workshops aimed at combating hate crime is being held at the University of Manchester during Islamophobia awareness month. 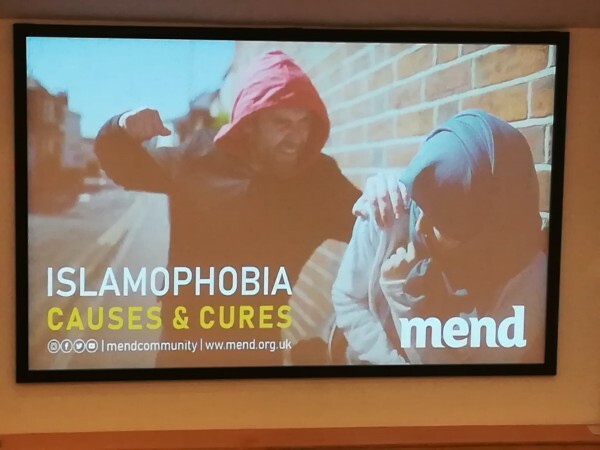 Members of the university Islamic Society invited the charity, Muslim Engagement, and Development (MEND) to talk about how communities can help prevent people becoming victims of Islamophobia. MEND vice-chairwoman Tooba Malik told a meeting: "Islamophobia is not a problem for Muslims, it’s a problem for society." Both groups will be holding several events tackling racism this month. 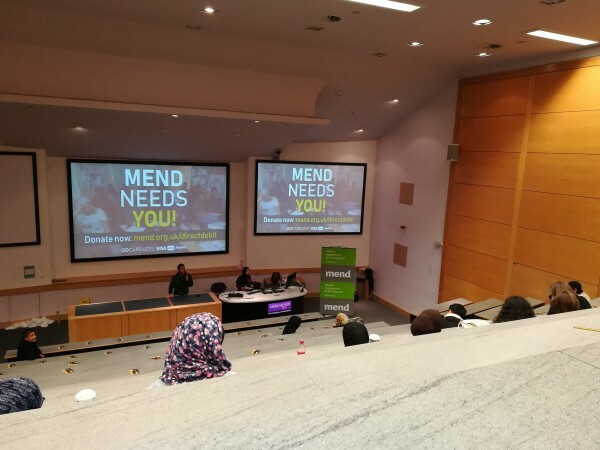 MEND is a non-profit organization which seeks to empower and enrich Muslim communities into getting involved with media and politics that affect them. Manchester MEND working group chairman, Jawad Amin, blessed the audience and said: "He who alleviates the suffering of a brother or the sufferings of the world, Allah will alleviate his sufferings." The meeting heard that there are three main causes of Islamophobia: a biased media, ineffective legislation, and lack of Muslim participation in public life. A study from the University of Lancaster found that for every one moderate reference made about Muslims in the media, there were 21 others that made extremists sentiments about them. A case study was referred to relating to the Sun newspaper’s publication of statics that claimed 20% of Muslims were Jihadi sympathizers. The story was later retracted and an apology was issued. MEND offers a step by step method for the public to complain against biased media coverage. If three pieces of evidence from the same media outlet can be presented, a formal complaint can be made. The Racial and Religious Hatred Act 2006 was identified as an ineffective law as it has resulted in zero convictions since its creation. A conviction can only be reached if abuse is proven and threats are made to stir up hatred. This differs from religious hate crimes where only the intention to stir up hatred needs to be proven. 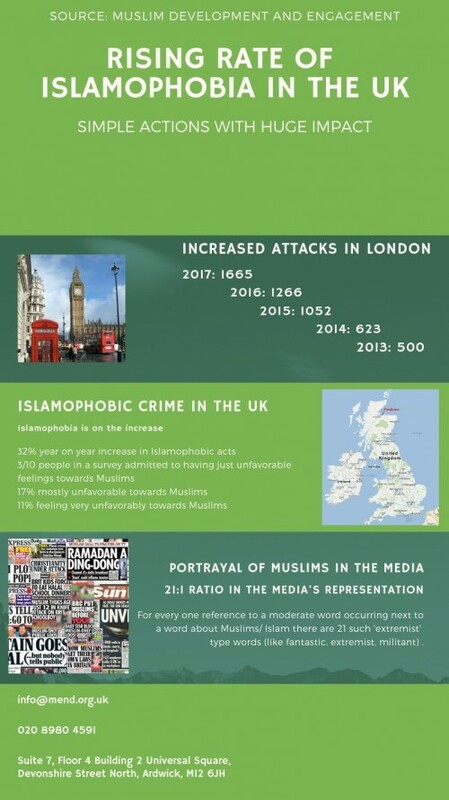 Between 2016/17 Islamophobia allegedly increased by 32%. It was argued that as that five per cent of the population were Muslim, it would require 32/650 MPs in parliament to be Muslims in order to achieve proper representation. There are currently eight MPs and 16 peers. are Muslim. The charity outlines several methods that could alleviate Islamophobia. These actions were referred to as 'cures'. 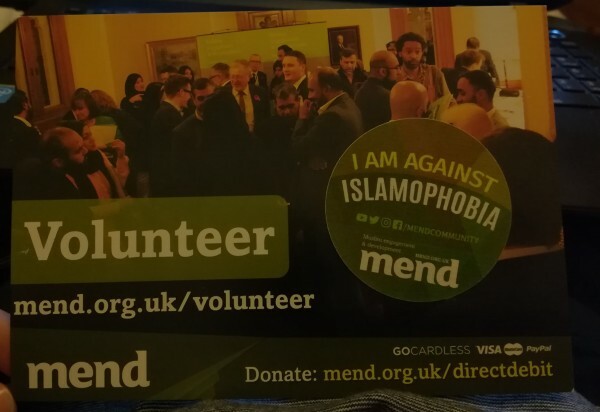 An Islamophobia response unit was set up by MEND for members of the public. Through this service, they offer emotional support for those feeling victimised. People were encouraged to report any crime to the Police as soon as possible. MEND encourages bringing awareness training to schools where teachers can make children aware of what is acceptable and what is not. The seminar ended with a Q&A session between Tooba Malik and members of the audience. There was a lively debate during the Q&A where a member of the audience inquired how the organisation viewed the lynch mob case were a pakistani woman, Asia Bibi, was sentenced to death via hanging for alleged blasphemy. Tooba stated: MEND does not speak for all Muslims or the actions of others". For more information go to MEND.